We had a hard time picking between CNE and Big Al’s Flyin’ Phillys as our adventure for the weekend. We decided to go to CNE, but half way through we changed our minds and decided to pay a visit to Big Al’s Flyin’ Phillys on its opening day. We learnt about it from Dine Halal a couple of days ago and were ambivalent about giving it a try. That’s because we’ve had many Philly Steaks and majority of them have been disappointing. Luckily we found parking fairly easily at Kensington Market and walked to Big Al’s Flyin’ Phillys. Our first impression was very positive, as the establishment looked very clean (seating area and kitchen) with coat of paint and an appealing wall art. We were greeted by smiling owners. 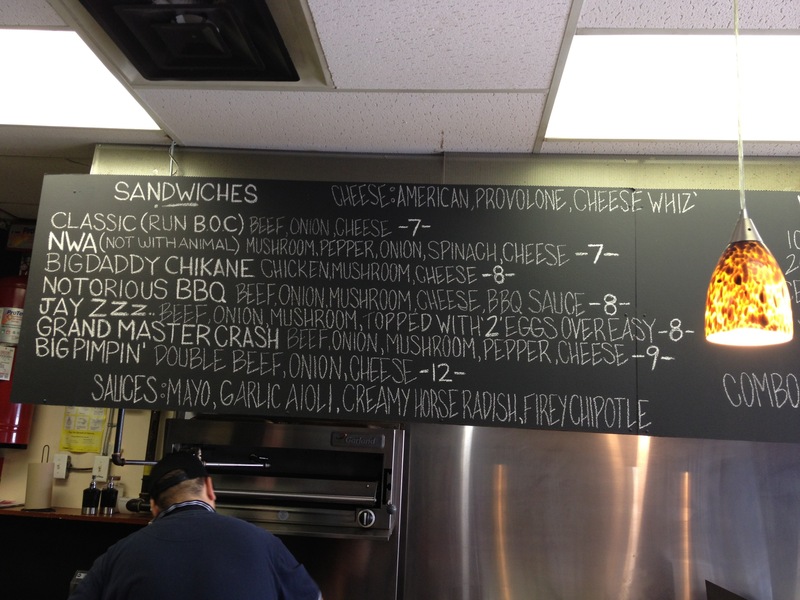 We skimmed through the menu and placed 2 orders of Grand Master Crash ($9/ea. ), one with Provolone cheese and the other with American cheese. We also ordered fries ($2.50) and were offered free drinks as an opening day special. We decided to sit out on the patio and in the next 10 minutes our order was brought to us. We saw the cook using fresh ingredients to prepare our food. Our Philly Steaks were presented with Hot Mayo, Horse Radish, Homemade Hot Sauce and Frank’s Hot Sauce to add it to the Philly Steaks as per our liking. One bite of the Philly Steak and we were sold! 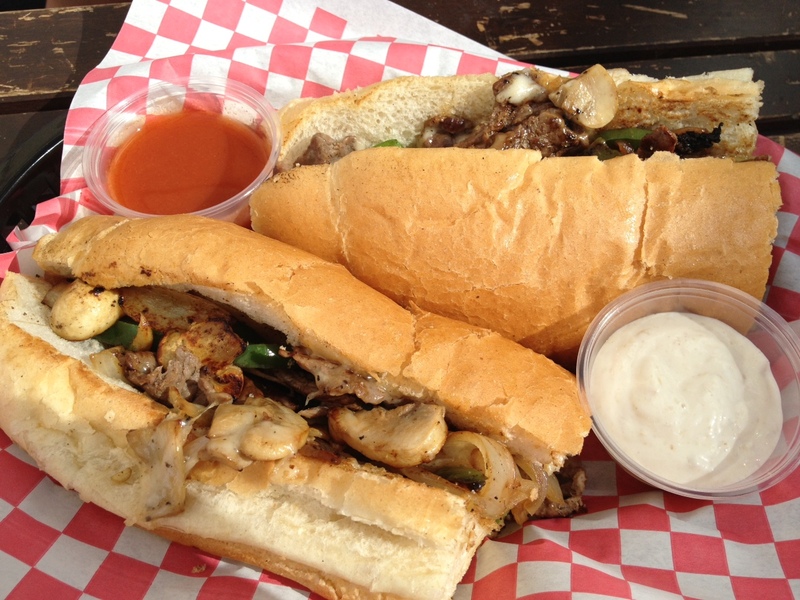 It tasted exactly how a Philly Steak should taste; so much so that the dips were not needed at all. We did prefer American cheese over Provolone cheese on our sandwiches. American cheese was a little less salty compared to Provolone cheese and seemed to have better bring out the taste of beef, onions, peppers and mushrooms. However, as the cook pointed out, it was hard to distinguish the taste between the two types of cheeses. 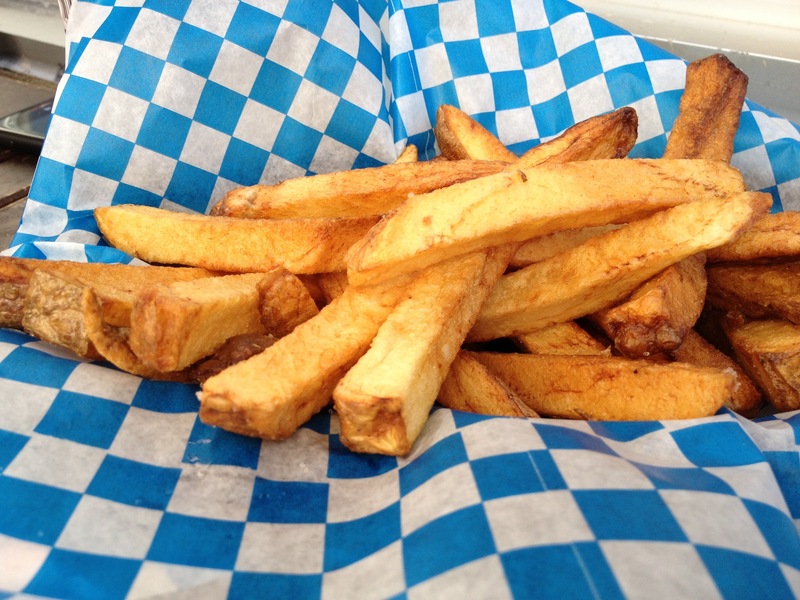 We also enjoyed thick and fresh handcut fries with skin, lightly seasoned with salt. 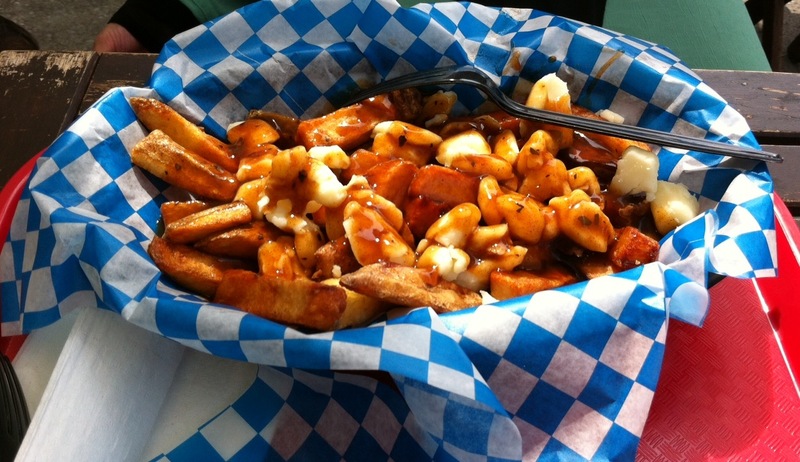 The poutine was solid as well. The cheese curds make all the difference. Given how much we enjoyed our Philly Steaks we were very much tempted to try the wings; however, the Philly Steaks were very filling. 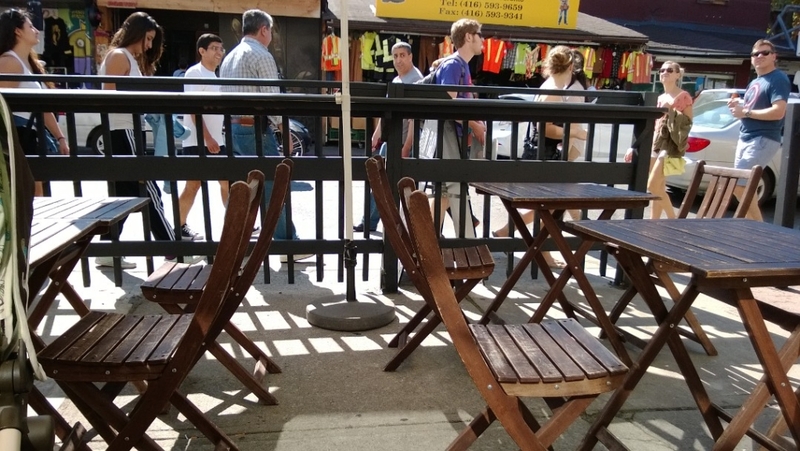 They have a nice indoor and outdoor eating space. Though today was our first time at Big Al’s Flyin’ Phillys, we can confidently say that it is our new place for Philly Steaks. 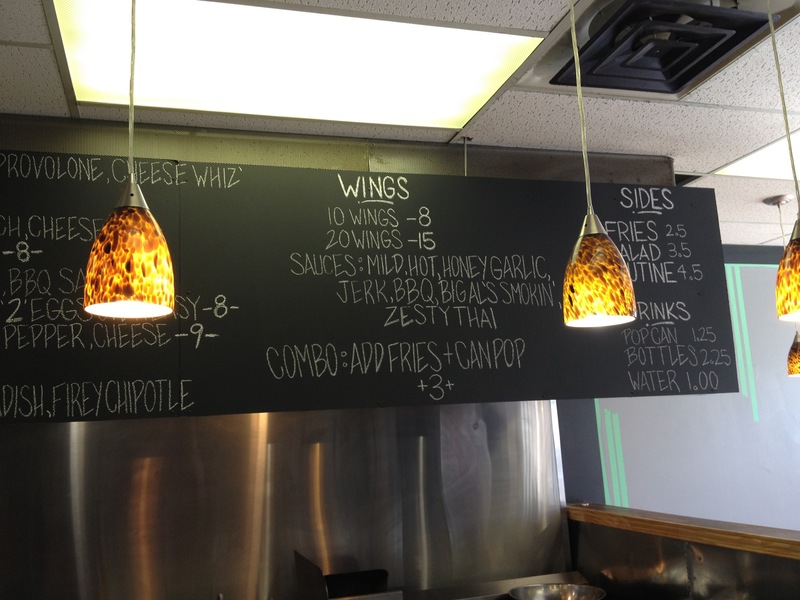 We look forward to trying other Philly Steaks on their menu as well as their wings and poutine! P.S. We did visit again and forgot to specify our preference for American cheese over Provolone cheese. We found Provolone cheese to be very overpowering and would highly recommend American cheese instead. 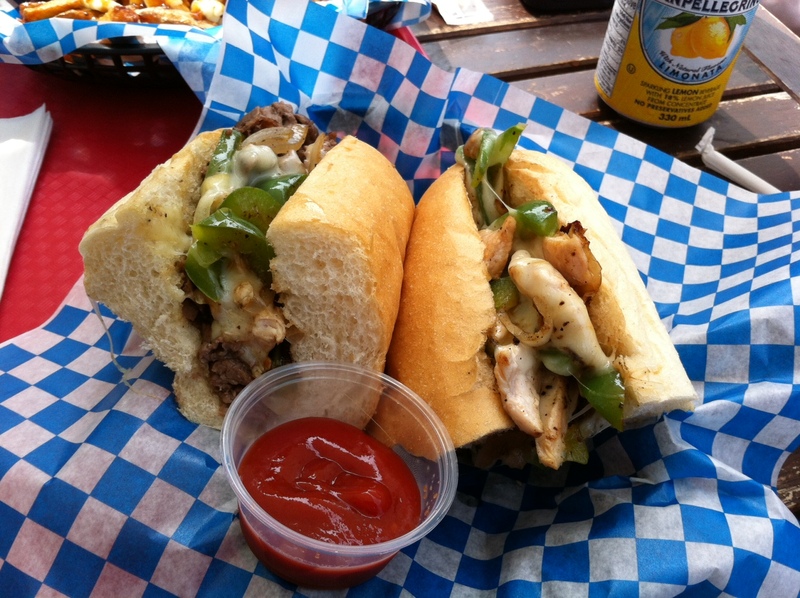 Categories: Restaurant Reviews | Tags: Big Al's Flyin' Phillys, Big Al's Flying Philly, Big Al's Flying Phillys, Big Als Flyin Philly, Eat Halal, Halal, Halal Cheesesteak Toronto, Halal Food, Halal Food Kensington Market, Halal Food Review, Halal food toronto, Halal Philly Cheese Steak, kensington market, philly, phillysteak, steak, Toronto | Permalink.